Tibet Experience is a small travel company in Lhasa, managed by former guide Lobsang Wangdan. 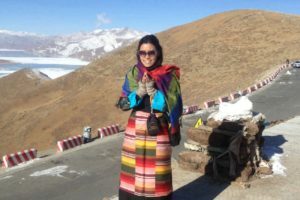 All of the staff are young local Tibetans with a good knowledge of Tibet’s culture and traditions, religion and history. Lobsang: “When I was young there was no plastic in the area where I grew up. I did not even have shoes, just boots made of yak skin in winter. So when plastic packaging and goods came I had no idea about the effect on nature and I would just throw everything on the ground or in the river. When I became a guide it were the Western tourists who taught me that it is bad for nature to just throw rubbish away. Now my pockets are always full of packaging waiting to be thrown in the bin from things I ate or used or what I found in nature. When I shop for the trips I bring a big bag myself, and the shop keepers are starting to recognize me as the man who does not want plastic bags. If I do end up with a plastic bag I keep it and reuse it many times. 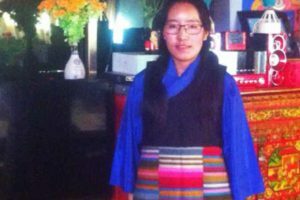 Lobsang is helping the Tibetan Traditional Blind Massage Center and Drolma Home, a hotel run by physically handicapped Tibetans, by translating for them when needed and promoting them to his clients and other tourists. 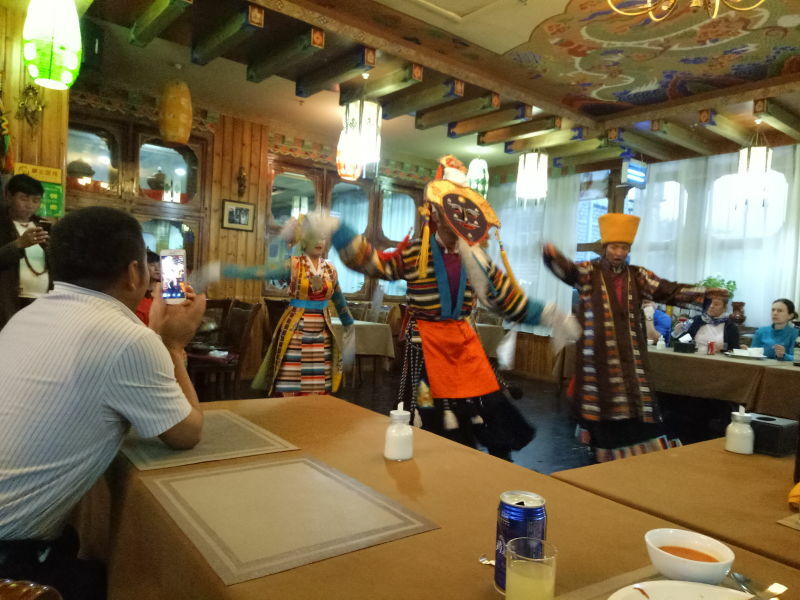 He also supports a Tibetan dance company by inviting them to perform for his clients and organizes regular performances by a famous Tibetan traditional music band. The members of the band are blind and they have been trained by retired music teachers. Lobsang and his guides like to take their clients to traditional Tibetan restaurants so they can every day experience different tastes. They also offers home stays outside of Lhasa, and invited the clients to cook together with the local family. Every year we hold a meeting with our staff about how to deal with our customers and how to promote Tibetan local businesses. We always ask our guides and drivers to take our guests to good Tibetan-owned restaurants and hotels. Most of our guides got First Aid training from the Tibet Tourism guide office. We also give the guides training in environment protection. In 2015 we got the good opportunity to join the Tibet Eco Travel Collective. We are sure that we will learn lots of new things from them. In the same year we got a training in Eco Tourism and we learnt video editing and camera settings. 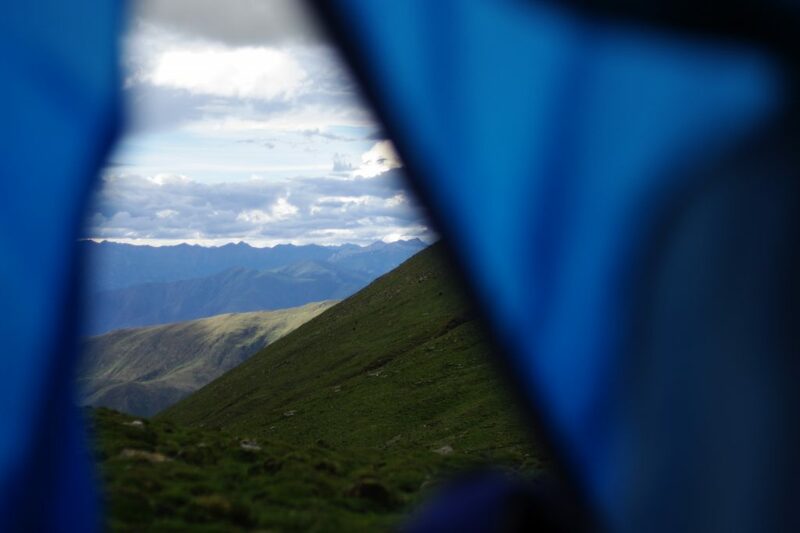 We are looking forward to the next Tibet Eco Travel Collective training. Lobsang Wangden is a Khamba, from Markham in Eastern Tibet. 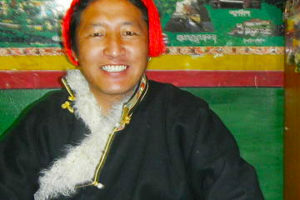 He worked as an English-speaking tour guide for 6 years all around Central Tibet. Lobsang then became a tour operator in Xining, where he developed tours for Western clients around the Kham area, Qinghai, and Central Tibet. 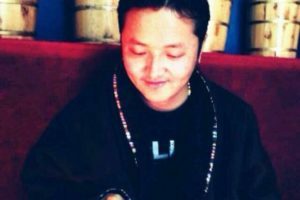 An outdoor enthusiast, Lobsang loves to trek, and specializes in arranging unique adventures in Tibet, including trekking, cycling trips, horse riding tours. In 2013 he opened Tibet Experience travel agency in Lhasa. Lobsang is active in the Tibetan community, where he volunteers everyday at the Blind Massage Clinic in Lhasa. I am Tsering Dorjee from Amdo, Labrang. I am an English speaking tour guide. I already did almost 6 years guiding around Central Tibet. 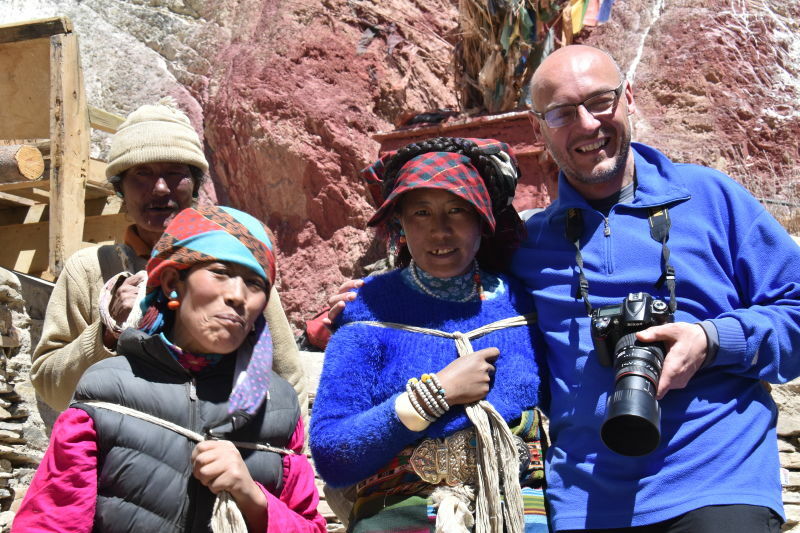 I love to explore new places and experience the more remote Tibetan nomad areas. Mostly I like to do trekking around Central Tibet, Bike adventures, and explore the unique monasteries and ancient castles. My hobby is playing games and explore new places. It’s my first time to join the Tibet Eco Travel Collective. I am very happy to be apart of the Tibet Experience team and I will do my best to protect our environment as much as I can. My name is Pema Chungdak. I was born Shigatse prefecture Sagya village and grew up in Shigatse city. Guiding tours is my profession, as well as my passion. I have 7 years of experiences in guiding tours in Central Tibet. It is my pleasure to share our culture, history, tradition and religion with our customers. 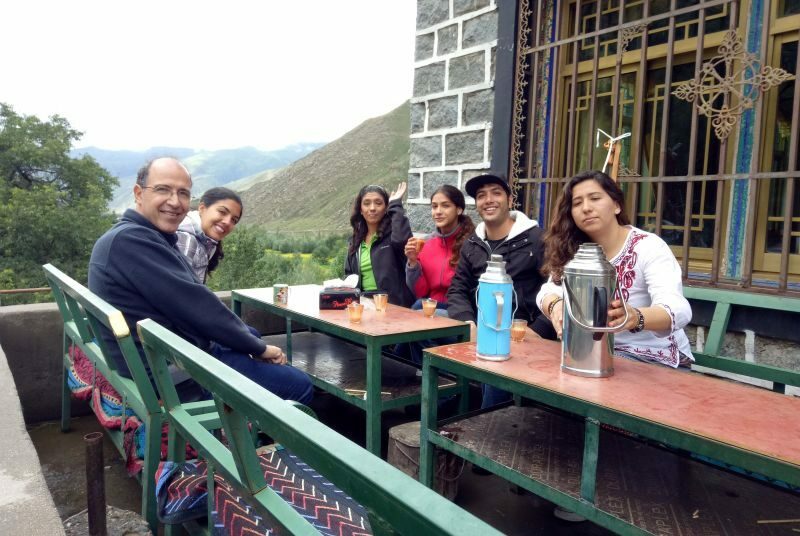 Being part of Tibet Experience, I appreciate the initiative of Responsible Tourism for the welfare of our society and our environment as a whole. I am Penpa Bhuti. I was born in Shigatse. I have 8 years of guiding experience around Central Tibet. I love to trek, and specialize in trekking, overland and cycling trips. My hobby is to meet new people and learn about their culture & traditions. I am very happy to be part of Tibet Experience travel agency in Lhasa. I looking forward to next year's Tibet Eco Travel training.